Will you find your dream job here? It depends — do your dreams include breathing fire or swallowing swords? Scrolling through job boards can be pretty disheartening, and not just because you need work. There are plenty of run-of-the-mill opportunities — barista, sales clerk, systems analyst (whatever that is) — but where are the really interesting jobs? The ones that give you great stories to tell at parties, yet still help pay the bills? They’re out there — but you probably won’t find them on LinkedIn. Here are a few that might expand your job-hunting horizons. If the thought of being wrapped in a stranger’s arms sounds comforting rather than a recipe for a panic attack, a career as a professional cuddler might be for you. Cuddlist will help train you and match you with clients in need of a snuggle. Clients pay $80 an hour — and, no, there’s no funny business. Cuddler Saskia Larsen calls her job a “heart-opening experience,” and says it’s no more risky than her other gig as a massage therapist. No matter how medically savvy a doctor might be, ineptitude with a speculum is one thing that separates a very bad gynecologist from a good one. Luckily, there are women like Austin, Texas-based poet Jodi Egerton willing to serve as “practice pelvises” for medical professionals learning to do internal exams. “It’s not a big deal to me,” she laughs. “I’ve had two babies, so that area has been through a lot.” And as for the potential discomfort from having inexperienced students examining you, Egerton swears they are generally very gentle. “They’re fine, because they’re terrified,” she says. If you’ve ever been to a corporate retreat, you know how dull some of those team-building exercises can be. That’s why fire-eater Ilise S. Carter is such a breath of fresh (and scorching) air at these events. Carter, who goes by the Lady Aye professionally, has been hired to inspire by corporations like GE and Gap, and while she doesn’t teach her audience to swallow swords, she says she “uses these skills to illustrate a way of overcoming fears.” During her former career in financial services, she apprenticed with a sideshow performer at night and began performing in her 30s. Much to her surprise, she found that experience helpful in all other aspects of her life. Jonathan Lopes was a musician when he moved to New York, cut off his hair, and took a regular job in publishing. Though he enjoyed a steady paycheck, he knew he had to find a creative outlet, too. One night after work he stopped by a toy store and picked up a Lego set. He put it together and never looked back. “I did it as a hobbyist for about eight years,” building increasingly complex designs, he says. Because he was immersed in the art world, more people saw Lopes' work and he started getting gallery shows. Eventually, someone at a nonprofit saw some of his work and commissioned a replica of the group’s botanical garden. 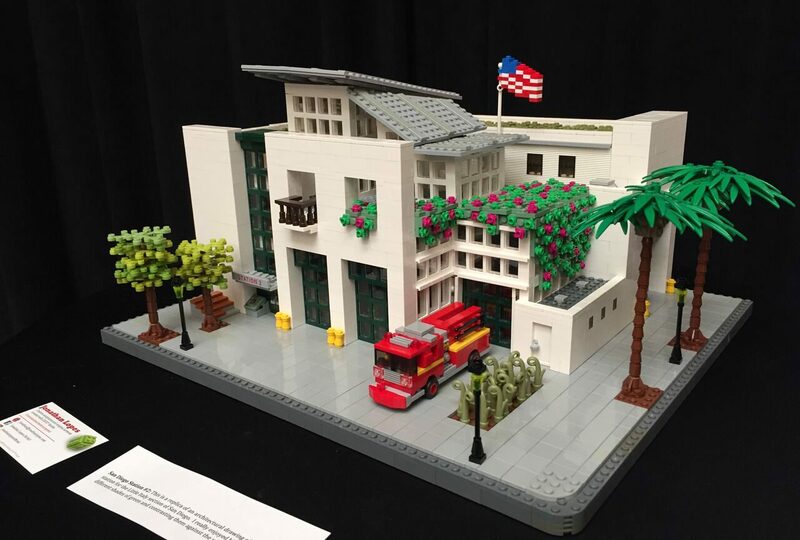 That snowballed into more commissions, including his first one from Lego — a version of New York’s Apollo Theatre for its display at the now-defunct Times Square Toys R Us. 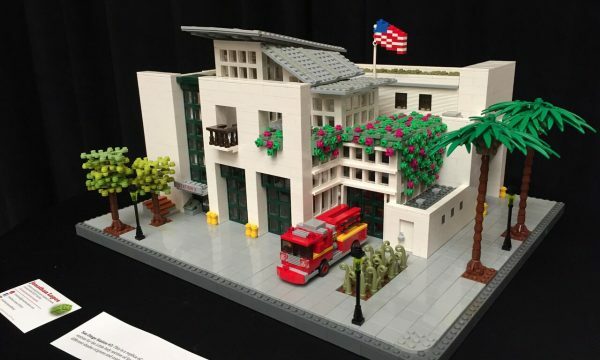 Besides occasional work with the brand, he says, “I do quite a few commissioned custom pieces for marketing firms, architects, private art collectors and corporate art collections.” Now based out of San Diego, Lopes is also a mainstay at the BrickUniverse Lego fan convention, traveling to show his work throughout the year. “You think I’m going to be naked in front of people — I just turned 50!” was singer Crystal Durant’s reply when a friend told her she should start posing at New York City’s Art Students League. Days later, Durant was standing on a platform, wrapped in a towel, in a room full of strangers with sketchpads. Lego photo courtesy of Jonathan Lopes. Fire-eating photo courtesy of Ilise S. Carter.